would not crush when the machine was accidentally crashed into the bumpers. Was easier to adjust and setup with more repeatable measurements. 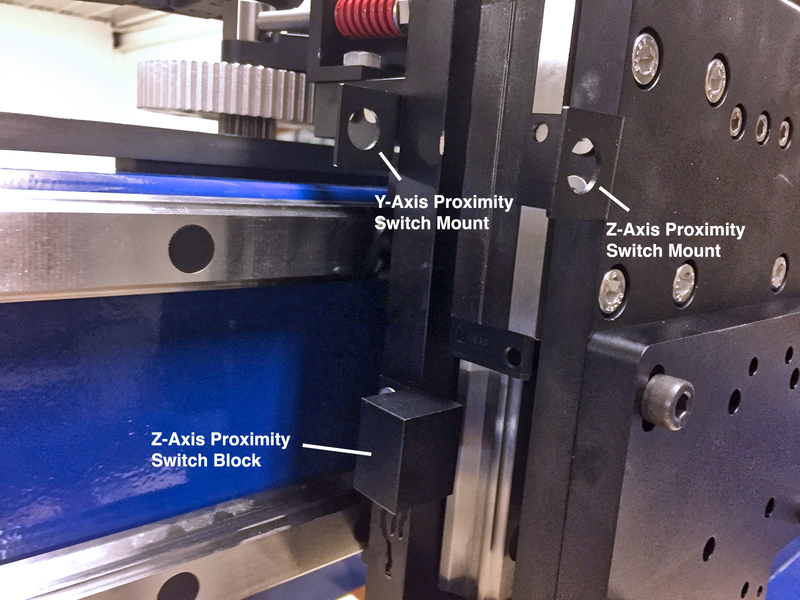 Z-Axis switch placement that actually worked. Customers also wanted the router and spindle mounts on the Z-Axis moved down some for better bit utilization. They also requested easy ability to tram the spindle. Finally, they wanted better support for square body spindles. A few customers wanted a gantry that was a little more robust and heavy duty than the 8020 gantry provided in order to limit flex. Several customers requested a gantry that was easier to get off the machine in order to move it down into a basement. So, we took these suggestions and many more and started planning to integrate them. We’ve made quite a few and as a result we are releasing them together as the Saturn 2 series line of CNC Routers. The machines are very similar. At the core, they are the same machine that you know and love. However, because of the significant upgrades we decided it was best to distinguish it as a new generation. Introducing the Saturn 2 machines. The gantry is now a full steel gantry. The brackets holding the gantry to the interface plate have been fully integrated into the gantry. 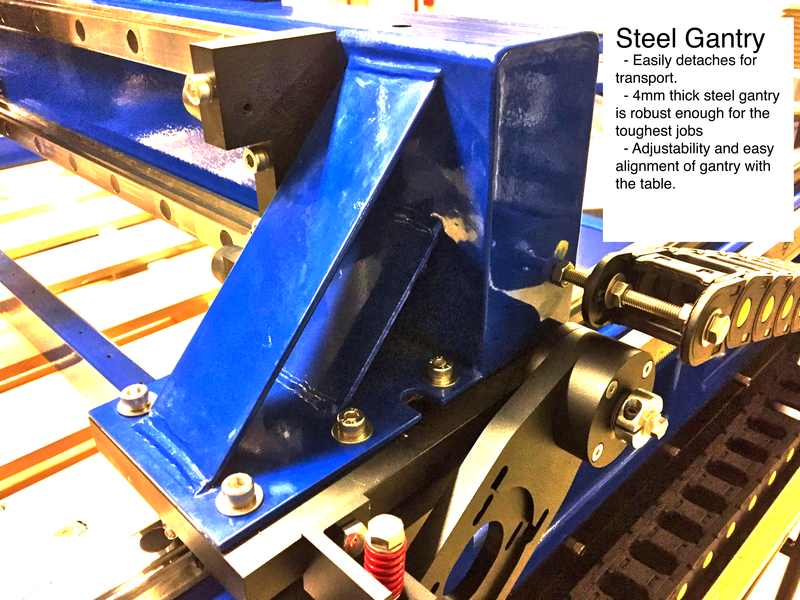 We have redone the attachment mechanism of the gantry to make removal and alignment of the gantry extremely easier. There are 10 screws that hold the gantry on each side. Remove those and the gantry just lifts right up. The mounting holes are slotted for easy re-alignment. We have completely redone the proximity switch mounting. The proximity switches are mounted perpendicular to the axis and trigger when they pass over the mounting blocks. This configuration ensures that the switch will never crush when the machine reaches a bumper. The other advantage is that you only need 4 switches to cover both homing and limit functions (versus the 6 in the other configuration). We introduced a built-in tramming plate. It provides tramming functionality for the router via a eccentric nut that acts as a cam. 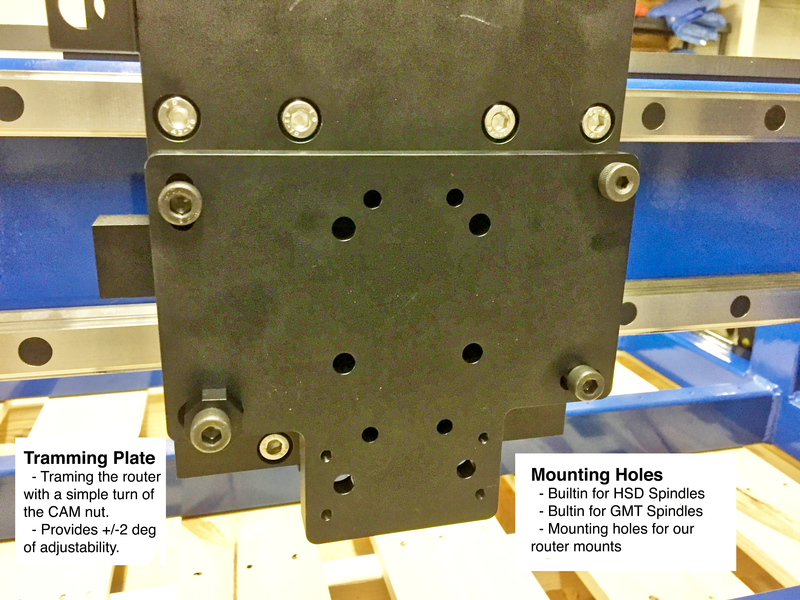 The mount has mounting holes for HSD and GMT flat body spindles. We added some end covers to cover the stand mounting holes for a more professional look. In addition, we moved the Y-Axis bumpers over the center of the linear carriages. Right now, we are only releasing the Saturn 2 series in the 4x4 size. We expect the 2x4 and a new 4x8 size to be available in November. The retail pricing on the Saturn 2 4x4 models remains the same at $4,600. Introductory pricing for the units will be $3,850 through October 31st. We still have some of the original Saturn units left in stock. We are further discounting the remaining units to clear our inventory as quickly as possible. 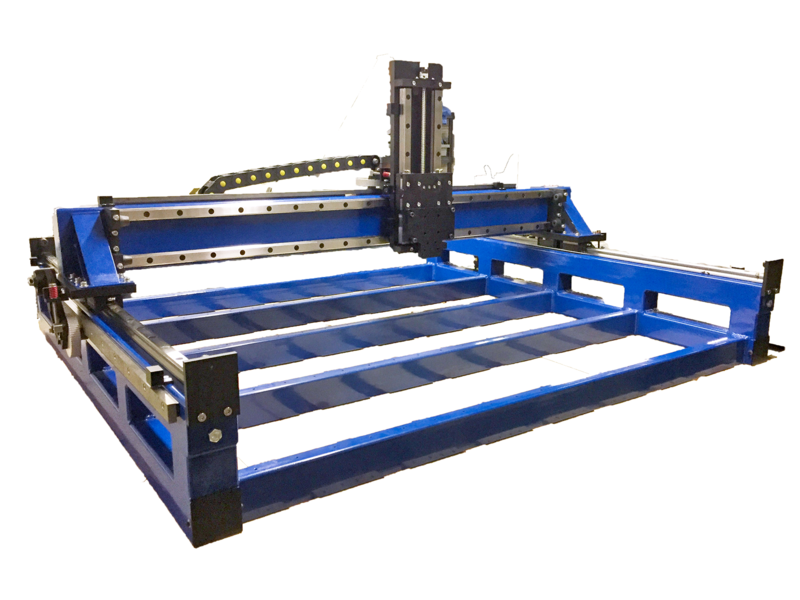 We have several 2x4 units with 8020 gantries are being reduced to $2,500. We have several 2x4 units with an early version steel gantry left. These units are being reduced to $2,750. These units will come with the tramming plate upgrade but no other modifications. We have (1) 4x4 unit with an 8020 gantry left. It is reduced to $3,000. We have (1) 4x4 unit left with an early version steel gantry. It is reduced to $3,250. It will come with the tramming plate upgrade but no other modifications. We are also offering the following upgrade conversions for existing Saturn owners. 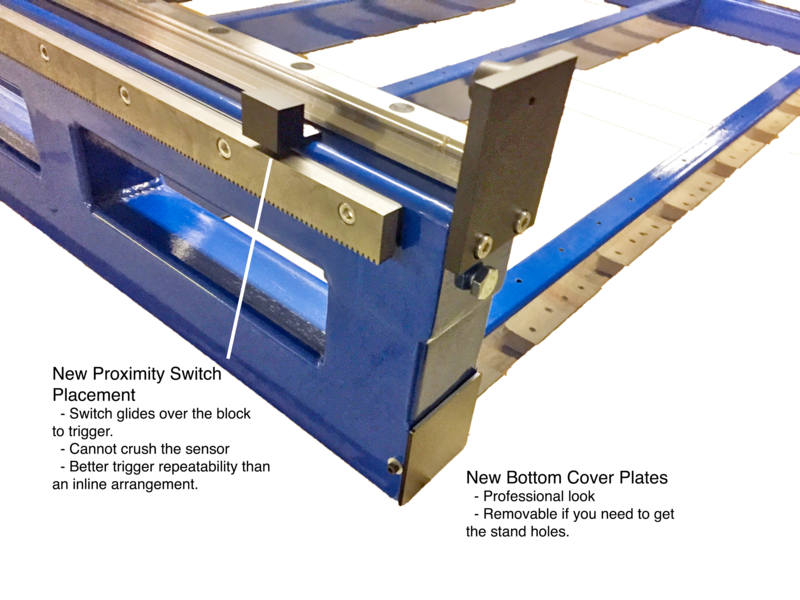 Tramming Plate Upgrade - The tramming plate setup replaces your current Z-Axis plate. It will install without any modification. 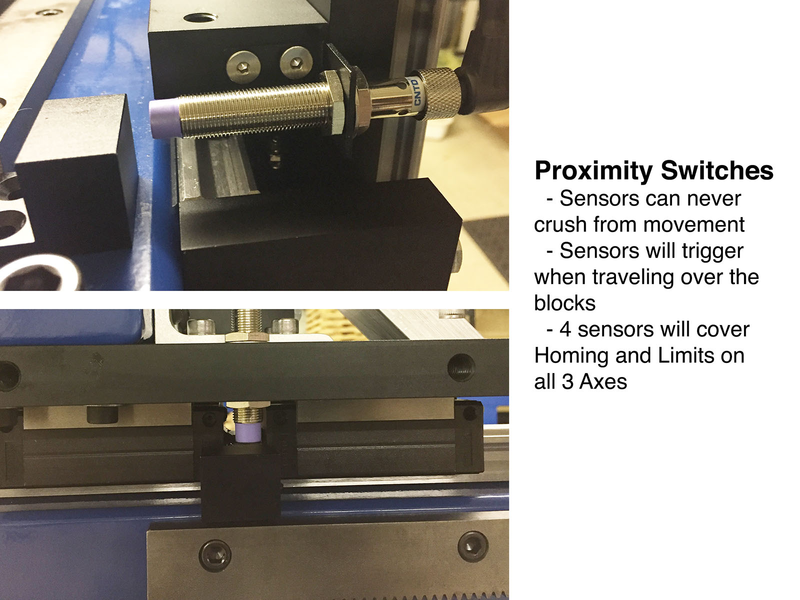 Proximity Switch Upgrade - The proximity switch mounts will require you to drill and tap several holes in your existing machine to accommodate the change. Rack and Pinion Upgrade - This is for any Rack and Pinion drives sold prior to August 2017. Upgrade includes the custom turned shoulder bolt, a new CAM unit, and a new tensioning system mount.